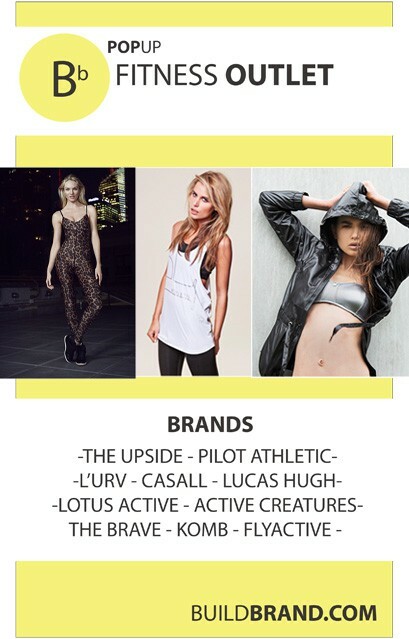 BuildBrand Pop Up Outlet collaborating with 10 Designer Fitness Apparel Brands, we POPUP in NEW locations to bring you HOT brands at HOT prices! Find them now @ Highpoint Shopping Centre, Level 3 accross from Kathmandu until the 10th of May, before moving to their next location. They are busy HUNTING for great NEW locations, products and BRANDS at prices that will thrill! Jump onto their social media page’s to stay tuned!